Bowflex manufactures some of the most compact and intense pieces of fitness equipment. Max Trainer M3 is one of its popular ellipticals which is not only compact but also offers great workouts to maximize calorie burning, boost athletic performance, and improve cardiovascular health. This article reviews the M3 to help you determine whether it is the right elliptical for your workout requirements. 6 How to Build Your Bowflex Max Trainer Workout Plan? Bowflex Max Trainer M3 is the most affordable product in the Max Trainer series. It uses the same technology as other models in the series like M5(Now M6), but some of its features and aspects are trimmed down to justify the price tag. Although it doesn’t have as many features as M5(M6) and M7(M8), Max Trainer M3 still packs a punch and is more than capable of helping you burn a lot of calories in a very short time. So you can expect very effective and efficient workouts from this elliptical. 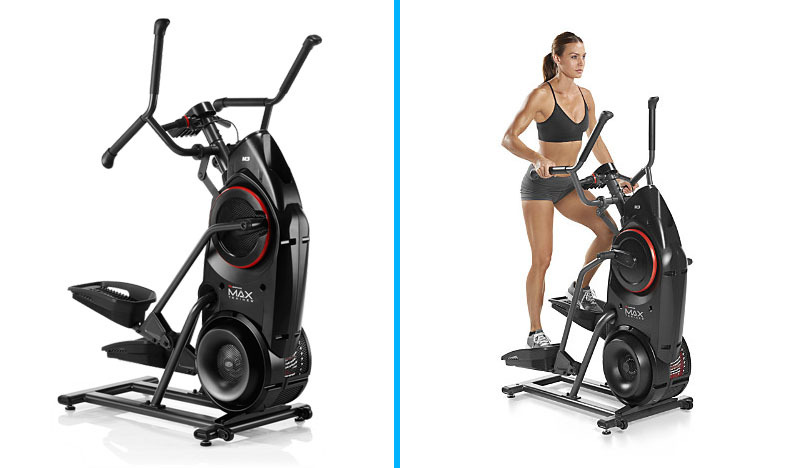 Max Trainer M3 is built with a combination of a half elliptical and a half stair climber. This unique combination facilitates faster and easier calorie burn rate with smoother movements. There are 2 built-in workout programs, 2 user profiles, and 8 different resistance levels in M3. There are no heart rate pulse sensors in the handlebars of the elliptical. However, a free chest stripe is included with the trainer to help you monitor your heart rate more accurately. This is a great solution that you will only find in high-end, more expensive ellipticals. Zero impact is another feature that makes M3 superior to most other ellipticals and treadmills available on the market. Thanks to this feature, you won’t feel any discomfort using the M3 as it provides a natural feeling during the cardiovascular exercises. 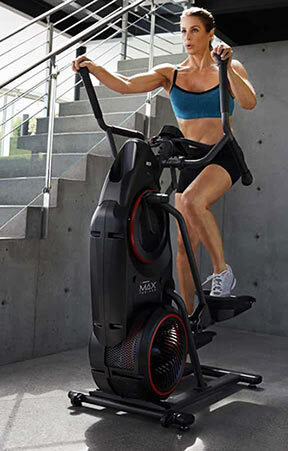 Max Trainer M3 burns calories up to 2.5 times faster than a treadmill. Budget is an issue and you want to buy a good entry level elliptical and don’t mind losing the extra features that high-end ellipticals provide. You are looking to buy a space-friendly elliptical that is also a bit different than a treadmill or traditional elliptical. You don’t have a lot of time to work out and your primary goal is to lose weight safely and quickly. You are looking for a reliable elliptical from a reputed brand that offers good value for money. You like the idea of half stepper and half elliptical. You weigh less than 300 lbs. and want to buy a low impact cardio machine. You have lower back problems and are looking to buy a comfortable elliptical. You are looking for an elliptical which is compact, lightweight, and easy to move. Max Trainer M3 is easy to use and straightforward. It offers 2 workout programs. One is the 14-minutes interval program that has been designed to improve your endurance, strength, and stamina while providing you with all the cardio benefits of a cardio workout, resulting in a fast calorie burn rate. The second is the manual performance mode that allows you to control your workout intervals as you see fit. There are 8 resistance levels to choose from in Max Trainer M3. They will help you get the most out of your workout sessions. The variety of resistance levels prevents a plateau when you work out and challenges you to keep going. The workout results promised by Max Trainer M3 are made possible mainly because of these resistance levels. This elliptical comes with a large LCD fitness monitor that displays burn rate indicators and motivating target zone. The gauge on the LCD shows your burn rate and how many calories you have burned. One thing to note is that the console of M3 isn’t backlit, so if there isn’t enough lighting then it may be difficult to read. M3 features two user profiles that allow you to personalize your exercise settings as well as share the elliptical with a partner. Both you and your partner can save your own physical stats and workout data by using separate profiles. This makes Max Trainer M3 an ideal choice at home. Max Trainer M3 does not have contact grip heart rate monitoring capability that most other ellipticals have. Instead, M3 comes with a free wireless chest strap which is more efficient and accurate than sensors included on hand grips. Every component in the design of M3 is specifically created to maximize performance and convenience. You can get everything you need for an effective and comfortable workout. From the large foot pads, phone or tablet mount, convenient water bottle holder, easy-to-read display screen, to 300 lbs. weight capacity, M3 has everything you need to get the most out of your workouts. You can check the best price of M3 right here! At just under $1000 the Max Trainer M3 offers more value for money than buying a separate kit for full body (upper and lower) workouts. Furthermore, you can also take advantage of coupons to enjoy discounted prices. Discounts are offered on the official Bowflex website where you can directly order this elliptical. While the M3 offers relatively fewer features as compared to Max Trainer M5 and M7, it is equipped with the same advanced technology and also offers similar workout experience and results. Apart from this, it features a compact design that makes it ideal for individuals with limited space. All in all, M3 is a great elliptical for those who want to buy a relatively inexpensive yet reliable cardio machine. This trainer is definitely worth the price. Also Read: What You Should Know Before Ordering Max Trainer Online? Max Trainer M3 is shipped in two boxes. One box contains the body while the other contains the base, footpads, arms, and handles. It takes 2-10 business days to get the elliptical ready and the delivery adds about another 7-8 days. So you can expect the product to arrive at your location within 9 business days. 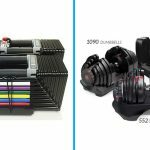 Standard shipping charges are $100, however, sometimes Bowflex offers coupon codes for discounted shipping costs. With the coupon code, you can save up to $50 on shipping. International shipping is not available at the moment. As mentioned above, the expected delivery time is 9 days and the elliptical is delivered in two separate boxes, completely unassembled. Only the motor housing comes preassembled. You will need to assemble the trainer once it arrives. According to the owner’s manual, the assembly of Max Trainer M3 requires two people, so it would be a good idea to invite a friend to help. All the tools required to assemble the trainer are included with the product. Assembly is quite easy but it is a time-consuming process and might take an hour or two. Bowflex offers in-home assembly, however, you will need to pay extra to acquire that service. Bowflex guarantees Max Trainer M3’s results and offers a money back guarantee if the elliptical does not satisfy you within the first 6 weeks after purchase. You will need to pay shipping costs in order to return the elliptical. All the purchase costs will be refunded except the assembly charges (if you have acquired the service). 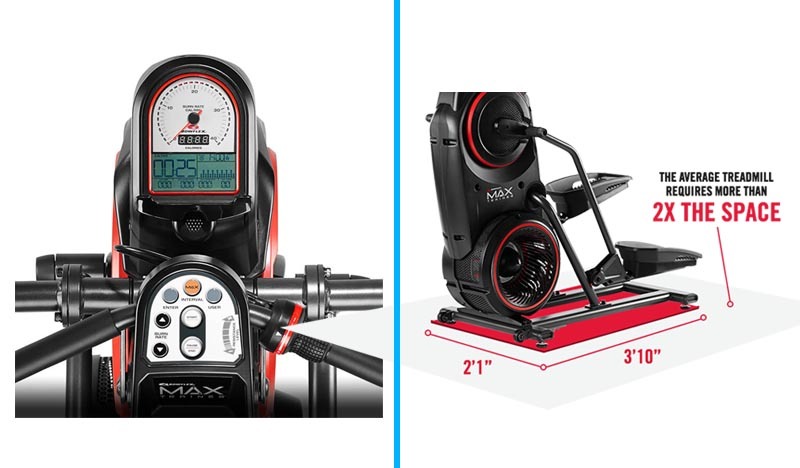 Max Trainer M3 comes with a 1-year warranty on the frame, electronics, and mechanical parts, and 90-days warranty on labor. You will need to contact the customer service line of Bowflex in order to file a warranty claim, request an RMA, or ask for a refund. It is worth mentioning that the elliptical must be in its original condition including original materials, accessories, and packaging. Otherwise, your claim will not be accepted. How to Build Your Bowflex Max Trainer Workout Plan? 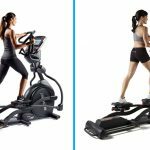 Bowflex Max Trainers are amazing cardio machines that can help get in shape and achieve your fitness goals in a very short time. But buying the Max Trainer is not enough, you will need to have a solid plan in place if you really want to get some results. Everything will go better if you know what you are doing. You will need to set your fitness goals. It is recommended that you write them down and make them your personal exercise calendar. Assess your situation and determine how much time you have, when you will be able to exercise, how often you can work out, how much you want to accomplish, and what goals do you have for the first few weeks or month. Once you find answers to these, you will be able to customize your workout plan according to your own specific needs. Bowflex Max Trainers allow you to target different muscle groups. You can change your hand position in order to target a lower or upper body. So it would be a good idea to plan ahead which muscles you want to target. While it is also possible to change the hand position to target different muscles during an individual session and alter the entire workout focus, it is recommended that you stick to the plan that you created before starting the routine. If you don’t have much time for longer workout sessions and want to achieve good results in a short amount of time, then the 14-minutes workout interval of Max Trainer will be highly useful for you. Simply warm up for 10 minutes before using the Max Trainer, then perform a 14-minute workout session. After you are done, stretch so that your muscles are relaxed. Repeat this routine and you will start to see good results. It is recommended that you start slowly during the first week and when your body is used to it, build up the longer and additional workout sessions. If you have time for intense workout sessions and you want to maximize the results of cardio workout, then you will have to push yourself. With Max Trainer, you can perform intense workouts and accomplish your fitness goals faster. Set some challenges for yourself but make them attainable and realistic and then stick with the plan. Perform 3 to 4 workouts each week. It is also recommended that you perform at least 2 14-interval workouts per session. Furthermore, mixing light weightlifting will also be helpful and will make the entire session about a bit longer. Repeat this routine for half an hour a day. Warm up for 10 minutes before starting and rest every 2 days for six weeks. You are sure to get the best possible results with this routine. You can save up to two user profiles. 1. I hate paying gym fees but I love the cardio machines. Is there a great at-home alternative? Definitely! You’ve heard of Bowflex? Of course, you have. They’re the #1 name for at-home, gym quality equipment. Well, they created the Max Trainer series, which is a compact machine that combines the elliptical and stair-stepper functions. A result is a machine that is easy on the joints – it’s zero impact. And, it melts fat! In 14 minutes you can burn as many calories as 30 minutes on a traditional elliptical. Bowflex has been perfecting the design over the past several years resulting in the currently available machines: the M8, M6, and M3 Trainers. There are two discontinued models – the M5 and M7 – that are still available in some sporting goods stores. All the machines differ in size, price, and features, so you have a lot of choices. 2. Is the Max Trainer a large machine? I don’t want to sacrifice a lot of space. The Max series is designed to be compact. A treadmill takes up more than twice the amount of space as the Max Trainer. How much room do you have for the machine? Use the dimensions below to check your space. While it is true that Bowflex Max Trainer M3 does not have the extra features like M5 and M7, it still offers the same workout experience and results. Not to mention it is also quite affordable. So M3 is definitely the way to go if budget is a concern.